The old saw that money can’t buy happiness always struck me as too vague. What kind of money? What kind of happiness? 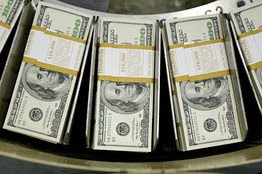 Is it money that takes a person from $1 to $1 million, or from $100 million to $200 million? And is it happiness as in freedom and fun? Or happiness as in inner peace? The flood of happiness research is finally providing more specifics. A new analysis of Gallup World Poll data, surveying 136,000 people across 132 nations from 2005 to 2006, suggests that income is much more highly correlated to happiness (or at least a form of it) than previously thought.